This post reports on two recent Parliamentary debates concerning human rights law reform (the Westminster Hall debate on the ‘Future of the Human Rights Act’ (30 June 2015, column 406WH), and the House of Lords’ debate on ‘Human Rights and Civil Liberties’ (2 July 2015, column 2177)). In what follows, firstly, I briefly examine the background to the recent debates. Next I address the debates themselves, looking first at the Westminster Hall debate, and then the House of Lords. Then I examine the responses provided by the Ministers in each House. At this stage my primary aim is to inform (although I feel I could add a great deal by way of criticism, especially in respect of the ministers’ responses, I will not do so here). ‘reverse the mission creep that has meant human rights law being used for more and more purposes’. ‘break the formal link between British courts and the European Court of Human Rights, and make our own Supreme Court the ultimate arbiter of human rights matters in the UK’. No draft Bill was published – indeed we still await sight of such a document. Following the Conservative government’s election in early May, there was much speculation about the law reform to come, how and if repeal of the HRA was achievable given the devolution settlements, and what was politically feasible for a government with a working majority of just 12 MPs. The government insisted that the HRA would be repealed, and that the new Bill of Rights would be subject to a consultation process. But numerous questions (and considerable concern) remained, and the answers coming from Whitehall were, at times, conflicting. What form would the Bill of Rights take? When would a draft be provided? Was withdrawal from the Convention still an option? And, of course, to what extent had the October document revealed the real agenda? The validity of these questions was even more apparent when the Ministerial team tasked with (amongst other things) the human rights reform brief was announced. Prior to taking up his ministerial post, Dominic Raab’s writing included ‘Strasbourg in the Dock’ (Civitas, 2011), which, amongst other things, was sharply critical of aspects of the Court’s jurisprudence and its functioning. That position was followed on many occasions since, including, for example, when he wound up the prisoner voting debate of 10 February 2011. Lord Faulks was a member of the Commission on a Bill of Rights (2012); he attached a jointly authored separate opinion to its Report entitled, rather ominously, ‘Unfinished Business’ (page 182). The Court’s activism was attacked, it being argued that there were ‘strong arguments that the cause of human rights, both in the UK and internationally, would be better served by withdrawal from the Convention and the enactment of a domestic Bill of Rights, or at the very least a renegotiation of the UK’s terms of membership so as to free it from the strictures of the Court’ (page 189). We turn, then, to the Parliamentary debates. Both were an opportunity for clarity with the respective Ministers of State for Justice – Dominic Raab in the House of Commons, and Lord Faulks in the House of Lords – responding for the government. Readers can consult Hansard (links below) for the full proceedings. 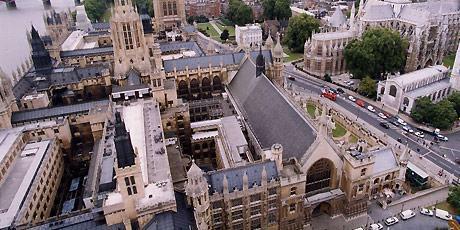 About 20 MPs participated in the Westminster Hall debate. At the risk of over simplification, there was considerable, but not unqualified support for the HRA and the Convention (obviously, this is not to suggest that that reflects the general view in the House of Commons). The thrust of many interventions was that the HRA did not need amending, or, at least, the case for doing so was very weak. It was observed, for example, that there really was no longer a need to reform section 2(1) of the HRA, a regular target of criticism in the past. There was considerable scepticism about the positives that reform would deliver, and great concern about the possibility of the UK’s withdrawal from the Convention. At the same time, others accepted that the HRA and the Convention as interpreted by Strasbourg were not perfect. But here it was urged that any reform of the HRA had to be approached with the utmost caution, and a sense of proportion (see eg the intervention of Dominic Grieve, former Attorney General). There was a warning that it was likely to deliver very limited benefits, and so doubts were expressed as to whether the course of reform should be embarked upon. This was why the government needed to be clear ‘at the outset’ what they were ‘trying to achieve’, otherwise there was a ‘serious danger of taking a wrong turn’ (Dominic Grieve MP: and, for his further criticisms and concerns see here, and here). In summary, it seemed that the strategy of most speakers was to try to seek some sort of concession from the government that the case for reform was far from compelling. Above all, the aim seemed to be force it to explain what its real plan was, and what it actually expected to achieve. There was a similar pattern to the House of Lords debate, held two days later. Here too there was abundant (but not unanimous) support for the current arrangements, as well as the Strasbourg Court, and what they had delivered in the past. Putting that to one side, I will mention three speeches in more detail, in an attempt to set out the spectrum of the various contributions. 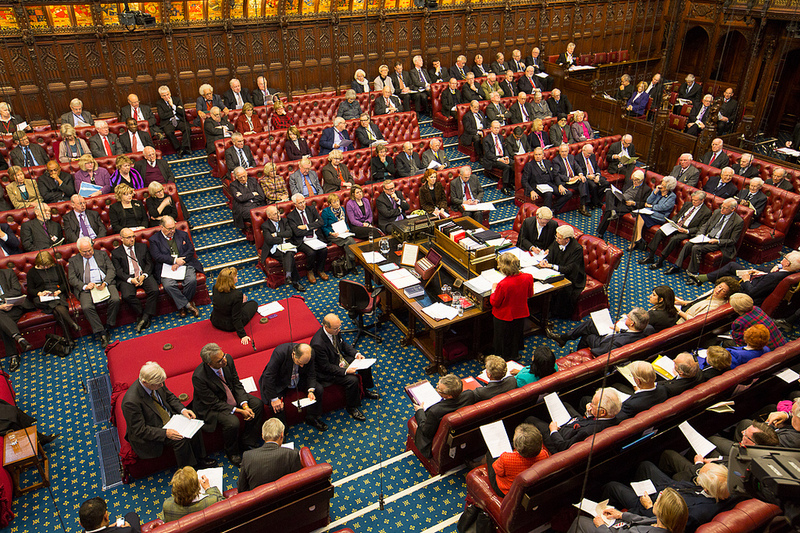 I also do so as two of the speeches I refer to – those of Lords Carswell and Brown – were delivered by former Law Lords, and so their contributions may be seen alongside a different post I have written for this blog regarding the senior judiciary’s views on Strasbourg. ‘forget withdrawal from the convention and forget a British Bill of Rights—just repeal the Human Rights Act 1998 and leave it at that’. His point of departure was praise for the Convention as an instrument setting out basic values, but a certain mistrust of what the Strasbourg Court had done with it (in this respect certain comparisons could be made with the views previously expressed by Lords Hoffmann, Lord Judge, Lord Sumption and, to some extent, Laws LJ – see the first part of this post here). pay ‘as much attention to the Strasbourg decisions… as they thought fit’, indeed he assumed that ‘in practice, [they would] examine [them] carefully in every case where the principle becomes an issue to see whether a contemplated decision accords with the Strasbourg jurisprudence’. there was ‘a steady flow of such applications prior to the 1998 Act, some of which were successful, but it was not on such a scale that we could not as a country tolerate it’. He suggested that, ‘it would be worth putting up with that again to gain a degree of freedom from the shackles of the Strasbourg decisions’ (in domestic law). Strasbourg’s presence would ‘act as a brake on any temptation to impose excessively draconian legislation and influence courts not to fly in the face of clearly correct Strasbourg case law’. ‘remove the domestic courts and Parliament from their legitimate role in interpreting and enforcing convention rights’, which was something to be ‘preserve[d] and cherish[ed]’. ‘remain[ed] unpersuaded by the Government’s case for repealing the Human Rights Act and substituting for it a more restrictive domestic Bill. Rather, I remain convinced that there is altogether more to gain by loyally submitting to this supranational court in the wider interests of all who are within the Council of Europe countries than by defying its rulings, as, alas, we continue to do on prisoner rights, let alone by withdrawing from our basic commitment to the convention’. Lord Brown also accepted that, when it came to the domestic application of Convention rights, UK ‘courts should be careful not to gold-plate [those] rights’. But he believed that the UK ‘should continue faithfully to give effect to Convention rights in so far as they have now been clearly and authoritatively established’. it would be ‘used by Europe’s pseudo-democracies in the former Soviet empire to justify flouting European human rights law’. ‘[i]f they succeed in doing what they threaten to do, their legacy will be to have weakened the protection of human rights and undermined the culture of liberty. The newly elected Government, unrestrained by their former coalition partner, threaten to tear up the Human Rights Act and replace it with a weaker British Bill of Rights that may not be anchored in the convention. They also threaten to ignore judgments of the Strasbourg court with which they disagree, undermining the rule of law here and across Europe’. ‘[they] say they will consult the public, [but] they are guilty of at least the appearance of prejudgment and a lack of interest in seeking a consensus on what are major constitutional issues. If the Government go ahead with their plan to tear up the Human Rights Act and flout judgments from Strasbourg with which they disagree, they will face deep hostility in Scotland, Northern Ireland and Wales and, I dare say, much of England, too’. ‘only as long as its protection is at least as strong as what we currently have under the Human Rights Act and the European Convention’ (see: Lord Lester, ‘Do we need a new Magna Carta?’ (Miriam Rothschild and John Foster Human Rights Trust Lecture) 15 June 2015, page 3; as to his arguments in favour of a Bill, see this lecture generally, especially at pp 9-10). ‘emanate[d] from a powerful faction of the Conservative Party now in government seeking to sabotage the protection that we fought for thirty years to achieve’ (above lecture at page 13). ‘still formative stage of the government’s process towards enacting a bill of rights’, and the government, ‘will be consulting formally this session, including with the devolved administrations’. No date was given. ‘not huge numbers of the objections to the black letter law of the Convention’s text, but the way it has been applied and extended [was] a matter of concern’. ‘All that’, Raab said, would be ‘the subject of debate and consultation’. ‘nothing has been taken off the table’, as the plan was to ‘restore some common sense balance to our human rights, which are out of kilter’. As to the HRA, Raab said he would refer to ‘some of [the] principal concerns’, but given ‘time restraints’ he would offer ‘just a few examples from what is by no means exhaustive list’. He then made the following points. ‘exponential expansion of rights that the design of the [HRA], whether tacitly or otherwise, has promoted. It has encouraged a rights inflation that, … has tended to undermine the so-called liberal model of human rights, shifting away from what people like Isaiah Berlin would refer to as negative liberty, or the John Stuart Mill model of shielding the citizen, towards imposing obligations on the state rather than constraining it. … [T]he textbooks… [were] littered with examples of the celebration of that, whether through the living instrument doctrine in Strasbourg or our own case law’. ‘The practical effect of rights inflation has been to dilute personal responsibility. The growth of rights—the expansion of the realm of rights—increases the power of the individual, however nefarious or otherwise, to trump the good of the rest of society. The more that extends beyond the bedrock of core liberties, the more corrosive the effects’. ‘striking that lawyers thought they could stretch an article of the convention that was designed, after the experience of concentration camps during world war two, to address grave issues of slavery and forced labour so as to attack the principle of conditionality in welfare reform’. ‘just one illustration of how the HRA has proved rather malleable material for the ingenious twisting of the basic conception of human rights, rather than simply bringing rights home, which was the Act’s explicit contention’. ‘the way that the [HRA] has exposed us unnecessarily to too much judicial legislation from Strasbourg—for example, in the case of prisoner voting’, although there were ‘examples of domestic judicial legislation as well, about article 8 in particular’ (no specific examples being given). ‘clear mandate on the question of the current legislative framework for human rights’, but ‘nevertheless [were] currently very much in listening mode’. ‘consult fully on our proposals before introducing legislation’, and it was ‘unfortunate that so many noble Lords make the assumption that any British Bill of Rights would contain rights that are ‘more restrictive’ than those in the convention’. (They had presumably read Raab’s responses of 48 hours earlier). ‘virtually no aspect of our legal system, from land law to social security, to torts and consumer contracts, that has not been touched to some extent by’ the Act (the language very reminiscent of – indeed virtually identical to – part of Lord Hoffmann’s 2009 Judicial Studies Board lecture). ‘As a barrister representing public authorities, I saw the incursion of human rights law into the fields of social services, education and police investigations. It contributed a great uncertainty to the law, and I am afraid that I am not persuaded that it resulted in any real improvement in the protection of fundamental rights’. One wonders whether this statement signals an intention to amend the equivalent of section 6, HRA under a future scheme. On the importance of this provision and the (curious) absence of debate on it thus far, see Donald’s post here. ‘But whatever views might be taken of the effects of the Human Rights Act—and I do not want to embark on a litany of cases for and against; views can reasonably diverge—I think it would be accepted that the Act has not endeared itself to the public generally. That was one conclusion that the commission reached. Not all of this is the fault of the tabloid press; the problems with Abu Qatada and others, prisoner voting—on which there can reasonably be different views—and some of the frankly trivial claims have not helped’. ‘[it] should not be demonised, as some of its decisions would continue to be useful, whatever our precise relationship with it, but it may not be the only source of wisdom. [This was why] [w]e should not pivot entirely off the Strasbourg court when there are useful decisions elsewhere in the world—and, of course, it should not impede the development of the common law as it has always developed’. What then of section 2(1) of the HRA? The evolution in the domestic courts’ approach in recent years was acknowledged by Lord Faulks, but there was a ‘need… for clarification’. ‘[m]any other countries… have their own equivalent of what we will have in a British Bill of Rights’. ‘that by engaging in a proper consultation on our proposals for how the United Kingdom’s human rights framework should be reformed we will be able to identify many points of agreement across the whole political spectrum, …. We intend to try to produce a Bill of Rights that can produce real consensus across the parties’. ‘fully engage with the devolved Administrations and the Republic of Ireland in view of the relevant provisions of the Belfast, or Good Friday, agreement’. ‘[w]hatever form the Bill of Rights finally takes’, the Government had ‘no intention to resile from its many other international obligations, such as those arising under the United Nations Convention Against Torture, which prevent removal of a person to another country, “where there are substantial grounds for believing that he would be in danger of being subjected to torture”’ (Convention lawyers will note that the protection Article 3 (of the Convention) provides is broader than this). He added, ‘[w]e were not a lawless country before 1998. We will not be in the future. We will comply with our many international obligations’. [i] Thanks to Dr Alice Donald for this reference. This entry was posted in criticism of ECHR, ECHR Reform, HRA Reform. Bookmark the permalink.